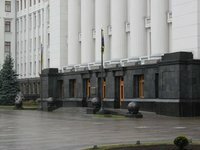 President of Ukraine Petro Poroshenko has appointed diplomat Yuriy Onischenko as presidential first aide. The president's Web site posted the relative order, No. 523/2014, on Tuesday. Onischenko was born in 1972. Since 1994 he has worked at various structures of Ukraine's Interior Ministry, and in 2009 held the Office of the Foreign Affairs Minister. On February 29, 2012 he worked as Extraordinary and Plenipotentiary Ambassador to Norway.